visit Radio channel 292 website for update and time table. every weekend a special QSL card will be available. Thanks for your countinuous support. 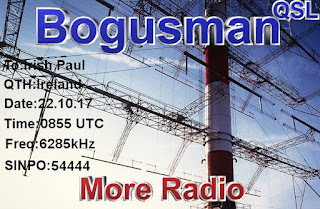 Tuesday, 31 October 2017, with the following test transmissions: 12.45-14.45 UTC on 11390 kHz AM, from 1500 to 1700 and from 1730 to 1930 on 5760 kHz (USB mode). Marconi Radio International (MRI) sarà di nuovo in onda domani, martedì 31 Ottobre 2017, con le seguenti trasmissioni di prova: dalle 12.45 alle 14.45 UTC su 11390 kHz AM, dalle 1500 alle 1700 e dalle 1730 alle 1930 su 5760 kHz USB). airplayed ( and repeated-) on Radio Channel292 - 6070 ShortWave! We are a new shortwave station called Torpoint Radio Worldwide. We will be broadcasting on 6070khz EU tonight at short notice at 1900 UTC to listeners all over EU & UK. This will be a 2 hour live show and we will be sending a QSL card to every listener!!! We will allow reports from utwente for all the QSL hunters out there who wish to get the card once and move on!!! 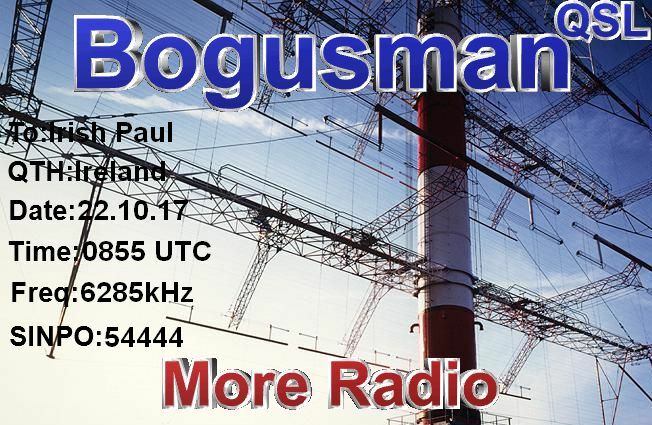 Tonight 1900 UTC myself and Richard Barbella Cook will be on the air. This is a regular every day live feed thanks to Rainer Ebling at C292 who has been most kind to us! We will be looking forward the live report that we get in! Best Regards and most importantly 73 from us at Torpoint Radio Worldwide and to you utwente listeners!!!! Sad News About Jack Radio Morningstar. This Was a Hard Sation For Me To Catch Here In Ireland Cause of The Low Power He Used. However I did Have The Pleasure Of Hearing Radio Morningstar On A Few Occasions. The Last Time Was In July 2013. Jack Usually Played Some Nice C&W Music. Info Via Uk Dxer And Dr Tim's Website. May You Rest In Peace Jack. 5820-16.50 Radio 319 (presumed). Radio Caroline Recordings. The Who And Blackmore's Night Sinpo 44343. Off Suddenly At 17.00. 6325-17.06 Unid. Dutch, French And Country Music Including Nicki" truck driving man" Sinpo 54444. Signal Starting To Fade After 10 minutes.